Do you use tail -f ? 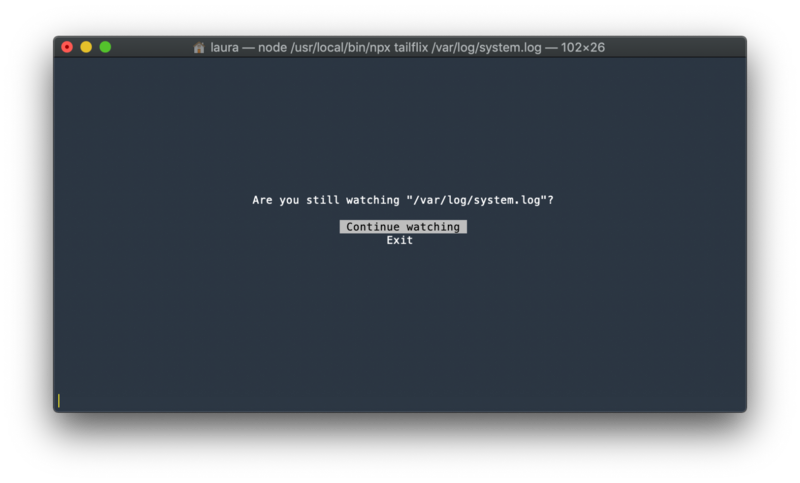 Love those annoying "are you watching" messages on Netflix? Ever thought.. gee I wish I could combine both these things? You wish has come true with tailflix!